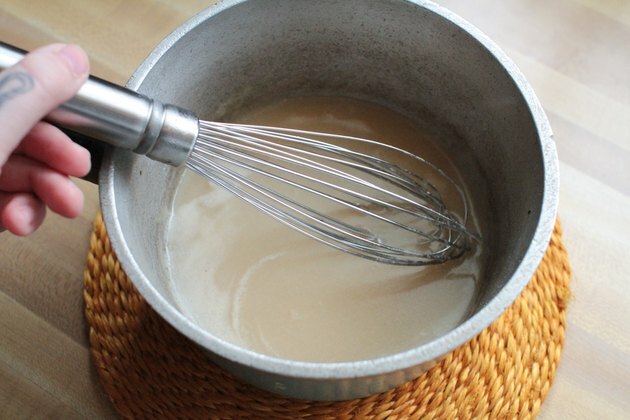 Bouillon gravy works perfectly well for gravy lovers such as comedian Erma Bombeck who said she came "from a family where gravy is considered a beverage." If you take care when making the gravy, it will also work well for everyone else. 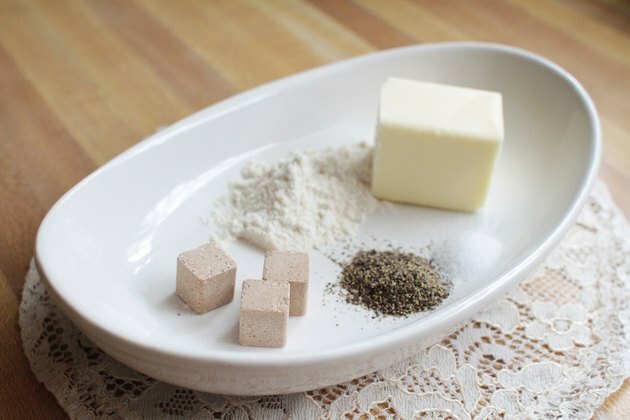 Bouillon cubes, in beef, chicken or vegetarian varieties, differ widely in the amount of salt they contain, making it important to taste the gravy as you cook so you don't end up adding too much salt. Experiment with different brands to find bouillon cubes with flavors that taste good to you. 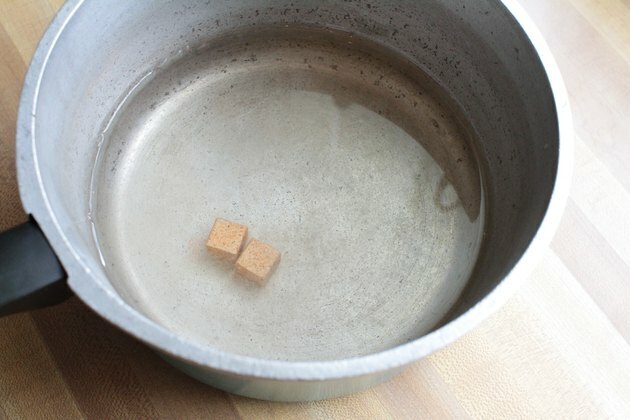 Place water and bouillon cubes in a pot and bring to a boil to dissolve the cubes. Most brands of bouillon cubes call for 1 cube for each 1 cup of water. To make 2 cups of gravy, use 2 cubes and 2 cups of water. 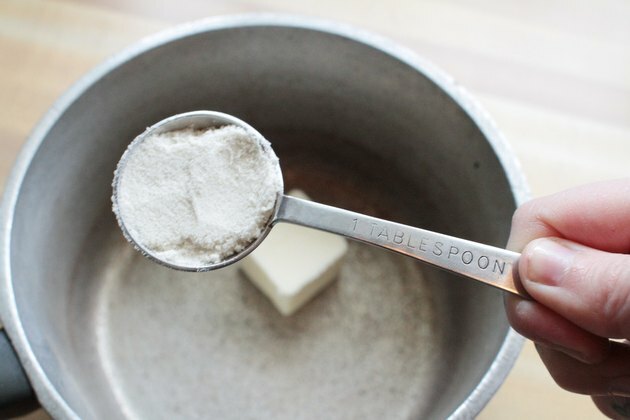 Mix flour and butter together in a separate pot to make a roux for the base of the gravy, using 2 tablespoons of flour for each 2 tablespoons of butter. Cook the roux on medium heat for about 3 minutes. This amount of roux will thicken 2 cups of bouillon water and make 2 cups of gravy. 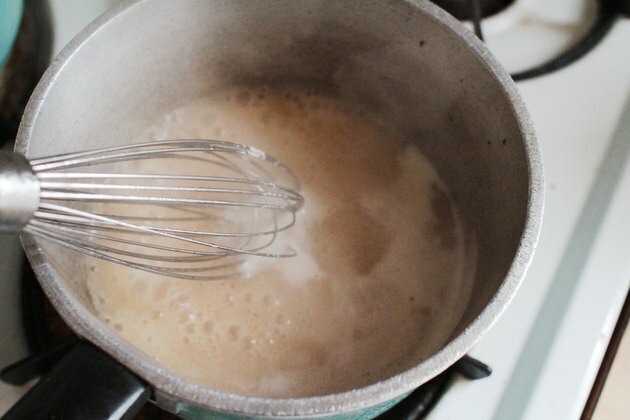 Pour about half of the bouillon water slowly into the roux, stirring or whisking constantly. Keep stirring rapidly until the mixture forms a smooth paste. Remove the pan from the burner if lumps begin to form in the roux, and continue stirring for a few minutes until the lumps blend back into the mixture and disappear. Add the rest of the bouillon water stirring or whisking constantly. Continue stirring or whisking until the gravy thickens. Taste the gravy and add salt if you need to, a small amount of pepper and any other additional ingredients. Good choices for chicken or turkey gravy include sauteed mushrooms, caramelized shallots, sausage, ham, sage or thyme. For roast beef, add mushrooms, garlic, a few tablespoons of red wine or herbs such as thyme, rosemary or oregano. 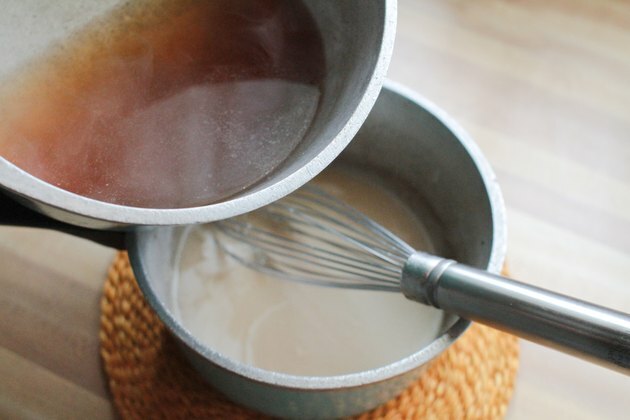 If your gravy never thickens, even after you have cooked it for a few minutes, make a flour slurry with 1 tablespoon of flour mixed with 1 tablespoon of the hot liquid in a separate bowl. Stir the slurry back into the gravy stirring constantly. You can do this two or three times if needed. If the gravy seems too thick, dissolve 1/2 of a bouillon cube and 1/2 cup of water and add it to the gravy. Warm your gravy serving bowl or pitcher by filling it with hot water for a few minutes before you're ready to fill it with the gravy. Wait until after the gravy thickens to taste it since the salt flavors will be more concentrated at that point. If lumps in the gravy don't disappear, strain the mixture through a sieve. If that doesn't work, throw the mixture out and try making it again.